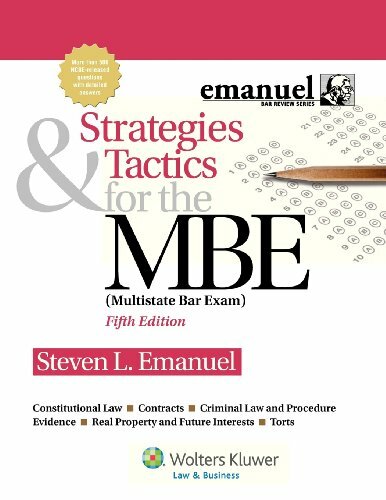 A popular and long-standing resource for individuals studying for the Multistate Bar Exam (MBE), Strategies & Tactics for the MBE has been thoroughly revised and updated to include new questions and reflect recent changes made by the NCBE to the Multistate Bar Exam. This text is highlighted by more than 550 questions, complete with thorough explanations of right and wrong answers. Detailed advice on how to handle MBE questions on each subject, and a focus on the most popular and trickiest MBE topics helps users to focus their studies. Strategies, such as how to “reword” questions to make them easier to analyze, are included, and explanations are in simple, easy-to-understand language.